Adult Gadwal Duck Pairs are shipped as young adults and flight ready (unless you choose to have them pinioned). You will receive one male and one female adult gadwal duck. Ordering a quantity of "1" will add one male and one female to your order. The male Gadwal duck is grey and brown with articulate patterns and a unique contrast. 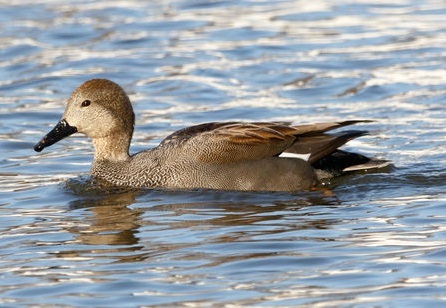 Female Gadwal ducks have the same coloring as males with darkes shades of grey and brown. The Gadwal duck is a friendly breed, making an excellent backyard addition to your flock. The Gadwal duck breed originates from Russia, but may also be found domestically in North America.